Born and raised in New Orleans, Johnny began playing music under the influence of family friend Sam Butera, sax master with Louis Prima. Johnny’s special gift on the saxophone found him, at age seventeen, blowing in the top of Bourbon Street nightclubs. 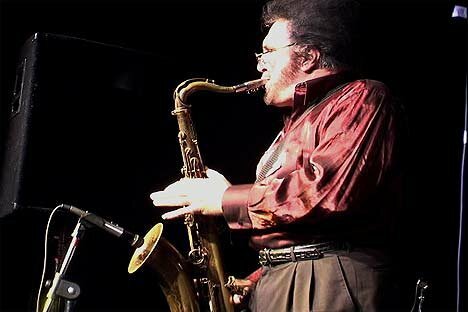 Here he developed his unique style under the tutelage of such notables as Al Hirt, Pete Fountain, James Moody, Cannonball Adderly, and Dizzy Gillespie. He has performed for the Rat Pack at the Factory in Los Angeles, NBC Studios, Millionaires Club, Sahara Tahoe and Las Vegas Sands. Johnny has played with dozens of recording stars from Freddy Fender, Ernie K-Doe, Professor Longhair to Sam Cooke, Aaron Neville, Frankie Ford, Kenny Rogers and others. Johnny has recorded in New Orleans, Canada and Nashville. The ultimate compliment came from a jazz legend who never played with Johnny. The great Duke Ellington, on a tip from his trumpet player Cat Anderson, arrived at Papa Joes’ on Bourbon Street one night. He wanted to hear for himself the highly touted sounds of a featured young saxophonist by the name of Johnny Pennino. The Duke, loving the sound he heard, made a point of meeting Johnny after the performance to offer his valued words of praise. Johnny has performed at the Southside Shuffle Blues and Jazz Festival in Canada, Hambone Festival in Clarksdale, MS as well as the New Orleans Jazz and Heritage Festival. A Louisiana Hall of Famer, Johnny Pennino’s depth of tone drips with emotion. It cries with you. It laughs with you. His seductive sound embraces your very soul. Powerful riffs of passion elevate your senses. Like the man himself, Johnny’s music is spiritual and romantic. He possesses a profound, engaging warmth. With his horn, he gives you his heart! Johnny is truly one of the fewest authentic original entertainers that performed for many years on Bourbon Street and many, many other clubs and venues in the New Orleans area. He continues to amaze all who hear his performances and continues to credit God for his wonderful gift!